The body is an amazing source of intelligence. It is always there for you, pumping blood, never skipping a heartbeat, digesting whatever food you put in it and maintaining homeostasis. Is this reliable, intelligent bio-computer making a mistake by craving ice cream or a hamburger or chocolate? 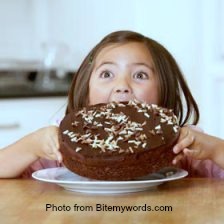 Are cravings due to lack of will-power or discipline? I’d like to suggest that cravings are not a problem. They are critical pieces of information that tell you what your body needs. The important thing is to understand why you crave what you crave. 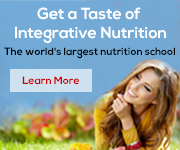 Perhaps your diet is too restrictive or devoid of essential nutrients. Perhaps you are living a lifestyle that is too boring or stressful. Your body tries to correct the imbalance by sending you a message: a craving. A craving for something sweet could mean you need more protein, more exercise, more water or more love in your life. The key to stopping the sugar craving is to understand and deliver what your body really needs. No book or theory can tell you what to eat. Only awareness of your body and its needs can tell you. Of all the relationships in our lives, the one with our body is the most essential. It takes communication, love and time to cultivate a relationship with your body. As you learn to decipher and respond to your body’s cravings, you will create a deep and lasting level of health and balance. Have a glass of water and wait 10 minutes. Eat a healthier version of what you crave. For example, if you crave sweets, try eating more fruit and sweet or root vegetables. What is out of balance in your life? Is there something you need to express, or is something being repressed? What happened in your life just before you had this craving? When you eat the food you are craving, enjoy it, taste it, savor it; notice its effect. Then you will become more aware and free to decide if you really want it next time. Hello! I’m Janet and Lisa asked me to share with you my experience with essential oils. Lisa actually introduced me to essential oils in April by sharing her experiences with them. My main reason to get the oils was for my mom. She is 85 and doing fairly well, but is slowed down by some aches and pains each day. Together we lowered her blood pressure and increased her circulation by changing her diet. Over a year she stopped eating processed foods and drinks, added more steamed veggies and whole grains, and decreased her sugar. She is amazed how she no longer needed Ensure, cookies and candy each day and best of all no blood pressure medication! She still suffers from aches and pains in her joints and body. One reason was not enough vitamin D. So she upped her dosage and felt better. She was getting leg cramps at night so she started measuring her water. She has a 1 liter bottle that she refills each morning and afternoon. She knows if she drinks the 2 liters (she’s tiny, only 5ft 110 lbs) that she will not get leg cramps. She then started drinking a tablespoon of apple cider vinegar in water each day. The apple cider vinegar reduces inflammation in the body and improves circulation. This also helped, but she was still suffering from “old age aches” and would take Tylenol. This is when Lisa introduced me to essential oils. We got my mom the Aroma touch for her joints and the Deep blue for muscle aches. At first the oils were too hot for her skin. Even though these blends have coconut oil in them, it was not enough for her. So she diluted them down with coconut oil or almond oil. After one application she noticed a difference! She has continued with the oils for a couple months now and no longer has to dilute them with other oils. She now associates the smell of the oils with relaxation which is also very powerful. I hope this article allows you to enjoy the rest of your summer in less pain!